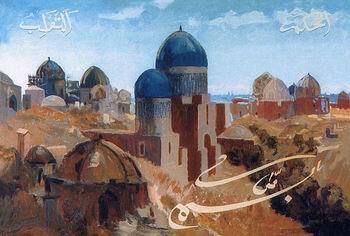 “Tatar Šamail: Word and Image. 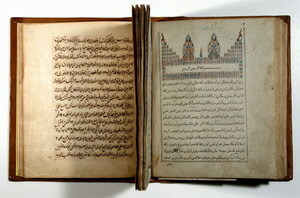 The Art of Calligraphy” was the name of the exhibition, which opened on April 24th, in the State Museum of Oriental Art. Representatives of the Contemporary Museum of Calligraphy attended the show. The exposition featured one of the kinds of Arabic calligraphy – šamail that is an integral part of traditional culture of the Volga Region. Professor Aleksandr Sedov, Director General of the Museum of Oriental Art, opened the press conference. In his welcoming address, he noted that the new exposition of about 70 works of art demonstrates the eye-pleasing intricacy of Arabic ligature as well as an original form of visual art, which was widely spread among the Volga Tatars in the 2nd half of the 19th century. The exhibition displays the works of art from the holdings of the State Museum of Visual Arts of the Republic of Tatarstan, works from private collections from the Marjani Fund. After the press conference, Mr. Rustem Shamsutov gave a brief tour around the exposition. The exhibition presents ancient šamails, executed on the backside of glass, printed šamails, widely spread in Kazan in the late 19th – early 20th centuries, and also work of the professional artists who have turned to this traditional art at present. 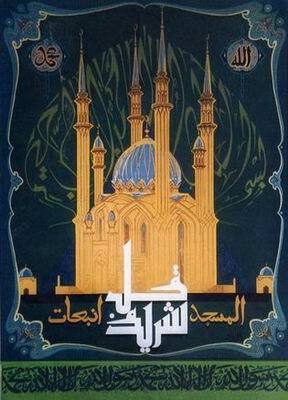 The exposition core is comprises printed šamails which represent aesthetic, spiritual, and intellectual inquiries of the Moslems of Russia of the early 20th century. Modern artists interpret calligraphy in their own way. Some turn to ancient šamail, executed on glass, others find the models to imitate in Arabian and Persian handwriting tradition. 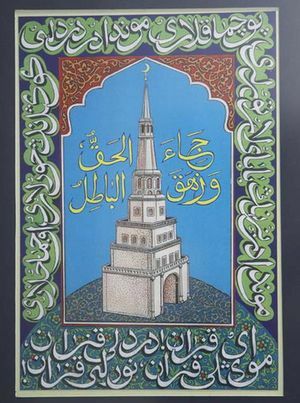 Among the works of modern masters is Söyembikä by Najip Nakkash (Nazip Ismagilov), member of the National Union of Calligraphers, participant of the International Exhibition of Calligraphy. Many painters create abstract compositions in which modern graphic means develop the theme of the sacred meaning of the Divine Letter. Salavat Gilyazutdinov, a graphic artist from Ufa is one of them. The artist was awarded a diploma of the International Ural Triennial of Printed Graphics for a series of works on mold paper. Later on, his original works can contribute to the Mystery of the Sign exhibition, which will be launched by the Contemporary Museum of Calligraphy this October. Besides, representatives of the Contemporary Museum of Calligraphy have agreed about cooperation with Kim Minnullin, Head of the Ibragimov Institute of Languages, Literature and Art under the Tatarstan Academy of Sciences; Igor Alekseev, Head of Research Programmes at the Marjani Fund; and Tatyana Starodub, PhD (Art History) of the Research Institute under the Russian Academy of Arts.